Housed under protective mineral glass is the suave silver sunray dial which presents with three sub-dials, showing the day, date and a 24 hour clock. Sophisticated rose gold dauphine hands enhance the suave aesthetic of this watch. 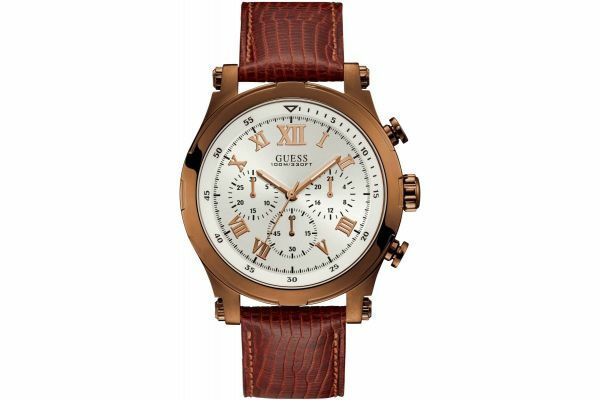 Set upon a classic dark brown genuine leather strap and fastened by a secure rose gold plated buckle; the Anchor watch is both sublime in aesthetic and comfort. Powered by Quartz movement and water resistant up to 100 meters, the Anchor watch comes complete with a two year guarantee and offical Guess packaging. 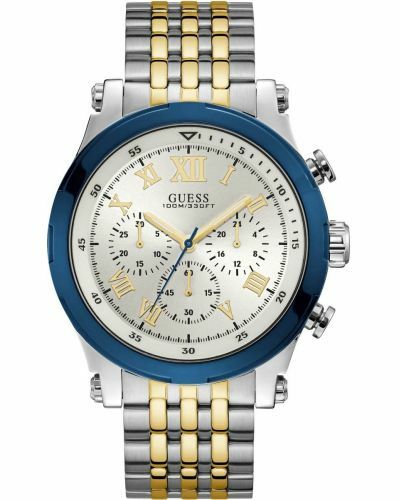 For us to size your new Guess Anchor watch as accurately as possible, please take a look at our downloadable Watch Sizing Guide.